I’m still pinching myself over the fact that my incredible boyfriend surprised me with a trip to Italy later this year for my birthday! Earlier this year Ian and I made a pact that we’d gift each other ‘experiences’ rather than ‘items’, but I never in my wildest dreams thought he would go so big. This’ll be my 5th trip to Italy (I’ve done Venice twice, plus Rome and Naples/Pompeii), but we’ll be discovering some new places together. First up is a few days in Venice, and then we’re planning on hitting up Milan, Genoa and Cinque Terre. If anyone has any tips/blog posts on things we should do here then please let me know! 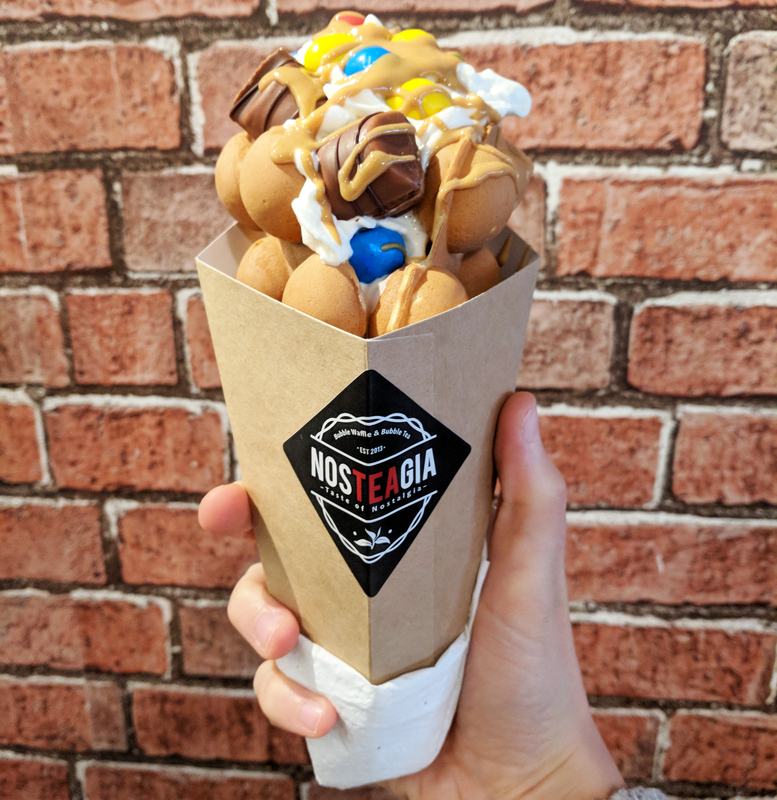 If you haven’t tried a bubble waffle wrap yet, I’d definitely urge you to head down to Nosteagia at Shoreditch’s Boxpark! I popped there for lunch the other day and had one loaded up with Kinder Bueno, M&Ms and cream. Totally worth the calories. There’s something so satisfying about ticking things off on your bucket list that you’ve wanted to do for years. For me, this was going to Mayfair-based restaurant Sketch for afternoon tea. Like, seriously. It’s been all I’ve talked about for years. My boss practically weeped with happiness when I told him I was finally going. I dragged my best mate Sophie along to join me, and I don’t think we’ve both ever been so full in our lives! I’ve got a full review of my afternoon tea next week, so be sure to keep an eye out. I think spring might be my most favourite time of the year in London. 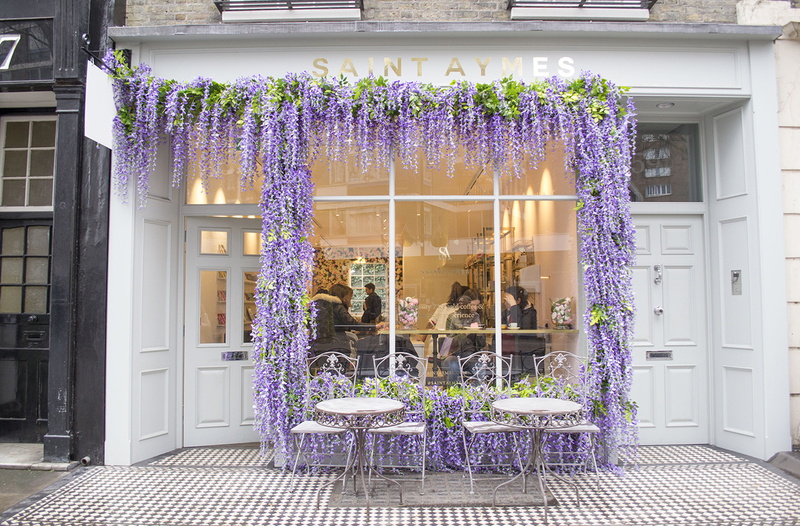 Not only do we get to look forward to slightly warmer and lighter evenings, but we get all the floral shopfronts! Soph and I saw almost half a dozen at the weekend, and we couldn’t help but stop and snap a dozen photos at each! 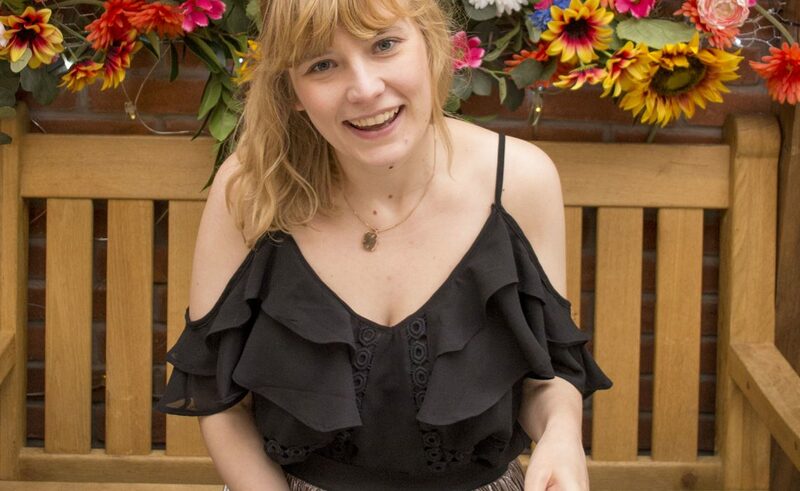 I’ve been wanting to visit Crystal Palace even before we moved to south London, but it wasn’t until my birthday that we got the opportunity. We kept my actual day pretty low-key, not leaving the house until the afternoon after waiting in for a delivery. We then popped over to Balham before hopping off at Crystal Palace for a once around the park. 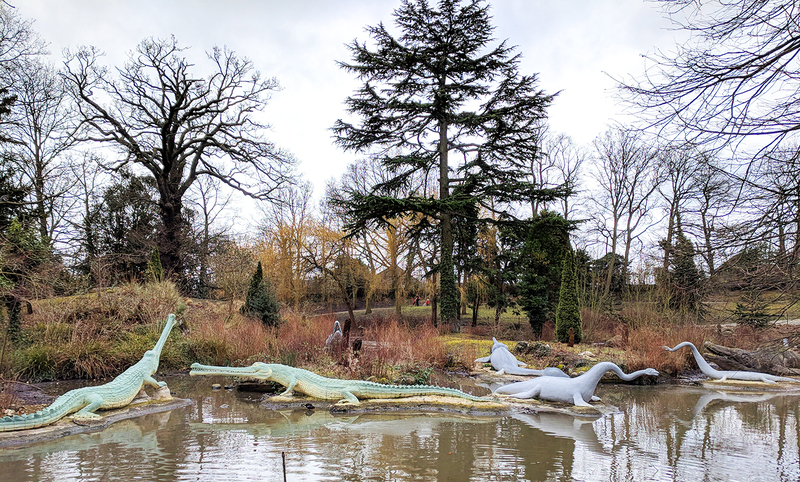 The park’s a little unusual in the sense that it has some funny little residents in the shape of full-scale dinosaur models! There’s also a maze, a huge lake (which was still iced over when we saw it), plus the National Sports Centre, which actually held the FA Cup Final between 1895 and 1914. Mind. Blown. I’ve been loving all the Instagram stories, blogs and photos from the wonderful ladies on board India’s Blog Train. India was never really a place I’d been desperate to go to until seeing how you can see it in style on board a luxury train – so now I’m desperately trying to win the lottery! 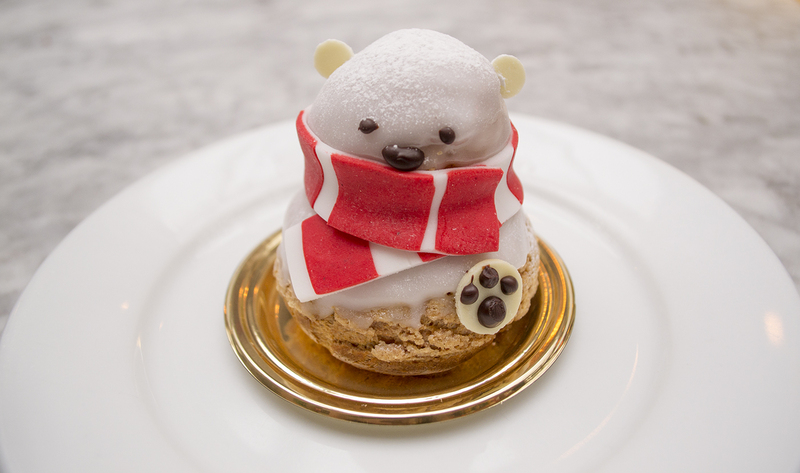 His bakery is probably best known for the cronut, but it was Blizzard the bear that caught our eye when we popped in. He was almost too adorable to eat, but once we’d taken a bite into his appley interior, we knew we’d made the right choice. The cake was a little on the pricey side (£7.50 if you’re eating in), but for a special occasion I definitely think it’s worth it. I don’t know whether it’s the cold weather or just the need to relax after a long day, but both Ian and I have been embracing bathtime this week. I’ve kind of always fancied getting a bath tray, but wasn’t sure if this was too much of a blogger cliche… Then Ian said something about wanting to watch stuff in the bath. Long story short, we’ve now got a bath tray. As much as I’m excited to relax in the bath with my iPad and some wine, I 100% guarantee this will just turn into another place for my cat to curl up on. Yep, I’m pretty sure I’ve just paid £30 for a glorified cat shelf. HELLO MY NEW FAVOURITE BRUNCH PLACE IN LONDON. 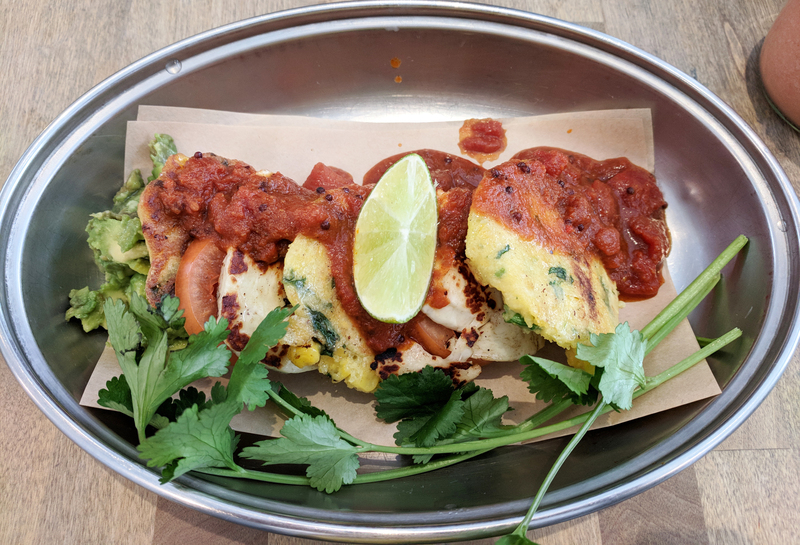 OK, sure, it’s the only place I’ve been to for brunch so far, but I’m pretty sure nothing can top the sweetcorn fritters, grilled halloumi, smashed avocado, kasundi and lime I had at Balham’s Milk. It was glorious, but I definitely could have eaten double the amount they served up. I also had the ‘Lauren’ smoothie which was just the right mix of banana, mango and strawberry. See? I’m not *totally* unhealthy. What’s the highlight of your week been? I need to go to Milk! This is making me miss living in London!